Freedom of information legislation | Watts Up With That? November 10, 2012 in Government idiocy, media. October 31, 2012 in FOI, Gergis et al, Paleoclimatology. The 'secret' IPCC Stocker WG1 memo – found! October 4, 2012 in FOI, IPCC, NCDC, NOAA. September 6, 2012 in FOI, NOAA 2 year FOIA documents. August 26, 2012 in Climate ugliness, FOI. Don't Say That! Just Don't Say It! 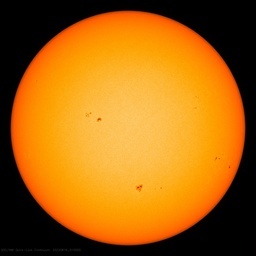 May 29, 2012 in Alarmism, extreme weather, Politics, Weather. Josh of cartoonsbyjosh.com writes of a new climate FAIL entry: Hopefully you’ve watched the video, read the posts and comments here and at Climate Audit and Bishop Hill. Basically Myles Allen has been castigating journalists for getting Climategate wrong while getting it spectacularly wrong himself. Nice one Myles. Honest error or disingenuous? May 28, 2012 in Climate FAIL, Climategate, Humor, Satire.